This post is brought to you by Funjet Vacations. All opinions 100% mine. 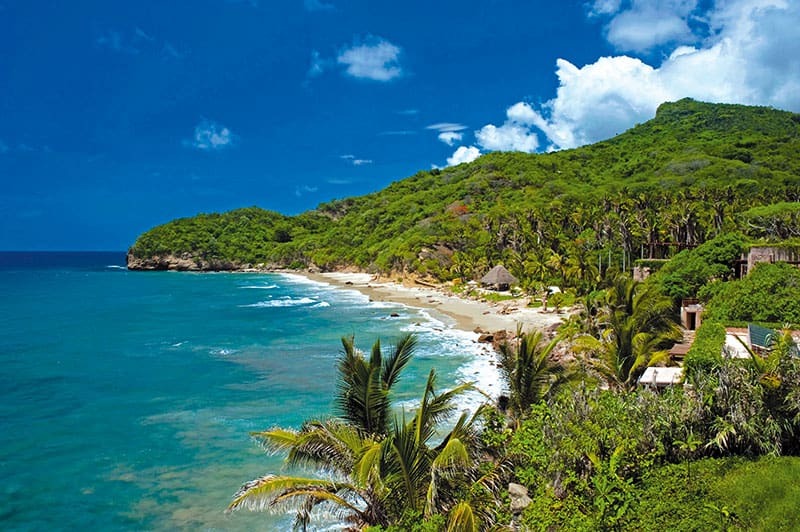 Ever dreamed about a Mexican getaway? I have, in fact I have a travel destination list a mile long. Every year we take a stab at that long list and mark off one destination. Last year it was the Bahamas. The year before was Seattle, and hopefully this next year it will be Vallarta-Nayarit. Vallarta-Nayarit is on the west coast of Mexico. It encompasses nearly 200 miles of coastline and is filled with authentic charm, good all-inclusive value, and rich and vibrant culture. 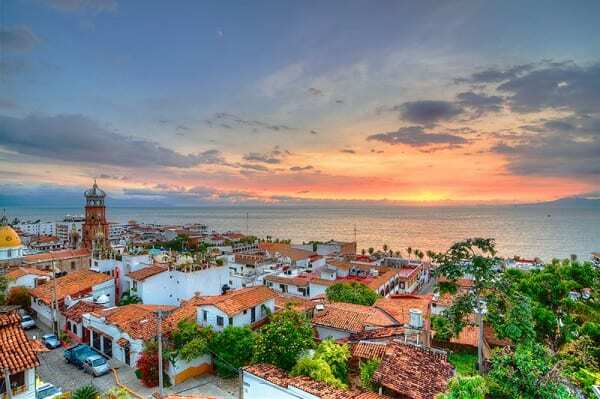 The area spans from Puerto Vallarta to Riviera Nayarit and has so many wonderful places to stay, amazing food to eat and exciting places to explore. From my research, it looks likek the best time to visit Riviera Nayarit is November-May. That’s because you can watch the whales. Yes you heard that right. No need to go to Alaska because warm Riviera Nayarit is where you can see 1000’s of migrating humpback in Banderas Bay from December through March. 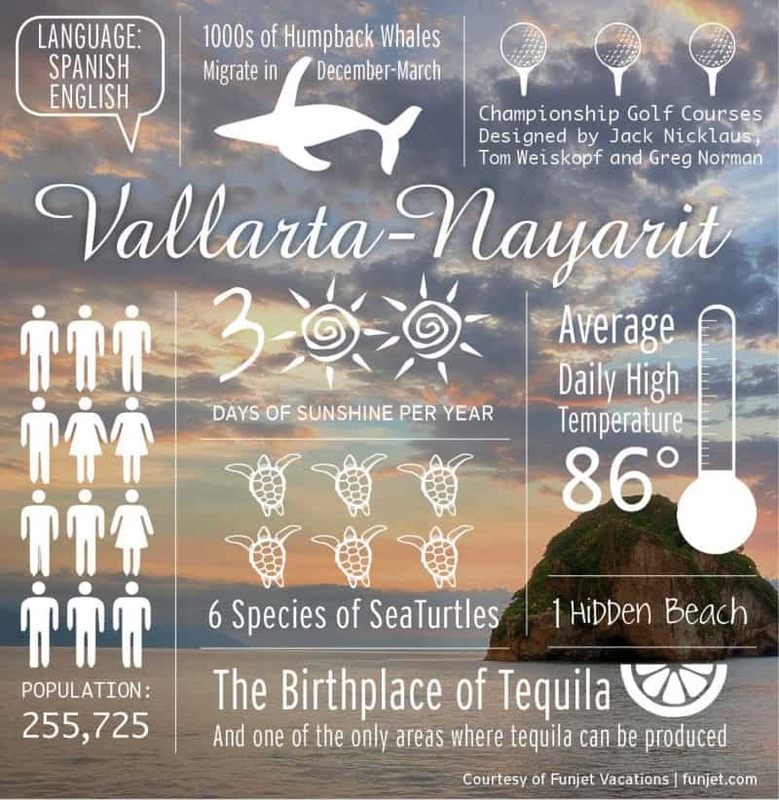 Below is an infographic with a few details about Vallarta-Nayarit. I had no idea it was the birthplace of tequila. How cool is that! And I just adore sea turtles. I have a sea turtle necklace, license plate on my car, and even one on my credit card, not to mention all the random seas turtle decorations around the house. They fascinate me. And if you’re into golfing, they have amazing golf championship golf courses designed by Jack Nicholaus, Tom Weiskopf and Greg Norman. 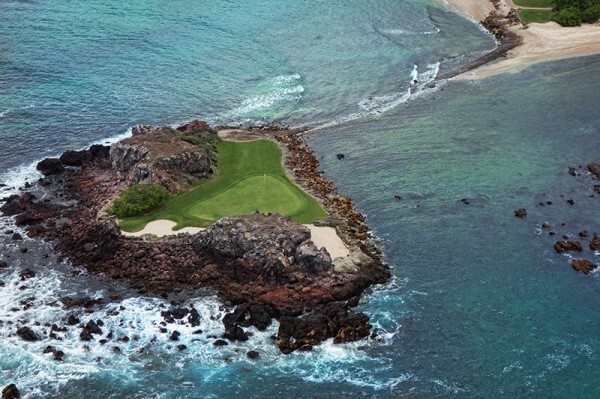 Imagine playing on that island below, beautiful! If you’re feeling adventurous there’s lots of fun activities in the are like canopy zip lining, ATV excursions and water activities such as deep sea fishing, sailing, kayaking, diving and even surfing. The area’s nature encounters are also very popular – exploring lush jungle canopies, whale watching, swimming with dolphins, sea lion encounters and baby sea turtle releases to name just a few. 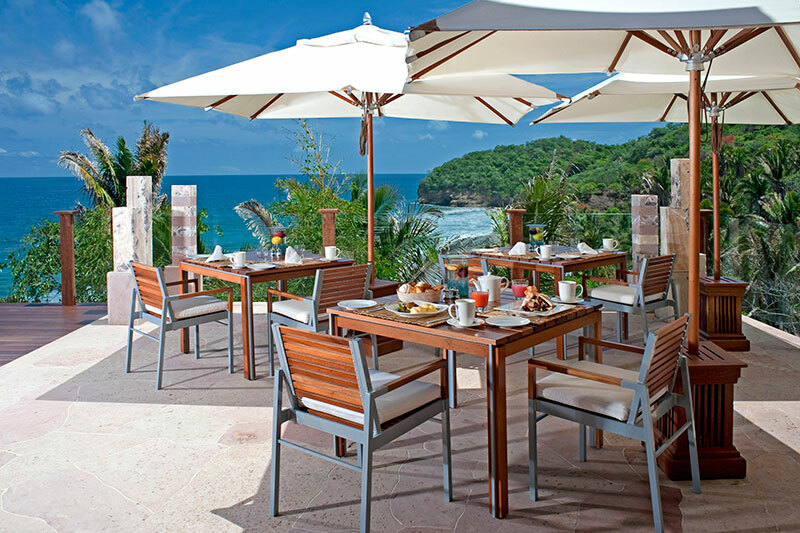 Vallarta-Nayarit is home to a variety of award-winning restaurants and late night eateries. And if this weren’t enough, Puerto Vallarta hosts a Wine Fest in March and a Restaurant Week in May where the very best local restaurants offer incredible three-course meals at discounted prices. There’s even a Festival Gourmet every November that brings together master chefs from around the world to create delicacies to please any palate. If you come to the area, you must visit the Marietas Islands where this photo was taken below. This is also known as the hidden beach, Doesn’t it look so romantic? The Marieta Islands are archipelagos that were formed as a result of volcanic activity. They have remained almost secluded ever since. The water at the islands is crystal clear blue bliss and home to an abundance of reef fish – over 100 different species swimming around in the clear blue waters. Pictured below is another must see spot, Los Arcos National Marine Park which is a cluster of unique rock formations that the surf has carved into arching caves and grottoes. You can snorkel your way through the calm waters and see a wide variety of marine wildlife such as – angelfish, damsels, parrot fish, lobsters, sea turtles, ells, puffer fish and even mantas and stingrays. Vallarta-Nayarit has many beautiful beaches with clear water and gorgeous golden sand. Whether your idea of the perfect beach is reclining in a comfy beach chair on a quiet stretch of sand with a good book, participating in extreme water sports or just lounging around while people watching and socializing, you’re sure to find a beach that fits you. Want to go sailing, deep see fishing or even get a luxury yacht? 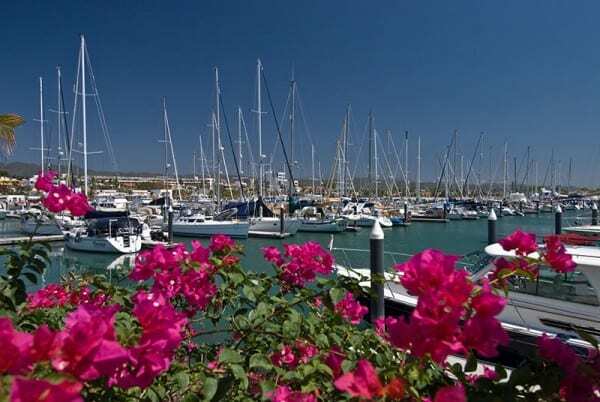 Head over to Riviera Nayarit Marina. It was designed to be the best marina in Mexico, offering top of the line facilities and the highest quality in nautical services. You can even pick up some fresh fish at the market if you’re too tired to go fishing. This area is so picturesque. You won’t be able to put your camera down. And remember because it’s on the west coast, you get those unforgettable sunsets. This area is so gorgeous, it was even named one of Frommers’ top destinations for 2014. So are you ready to book a flight to paradise? I know I am! But where to stay? 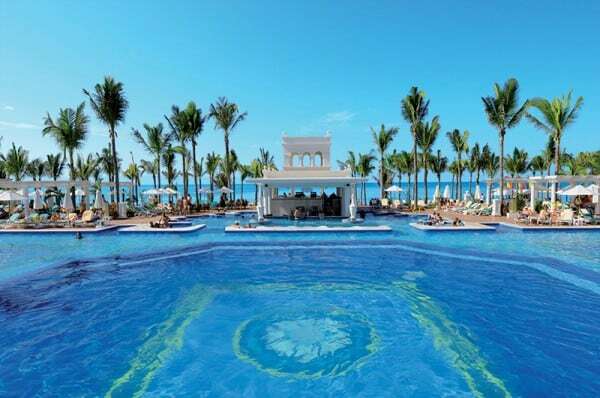 How about the Riu Palace Pacifico pictured below. This is a 24h All Inclusive luxury 5 star all-suite resort provides the perfect escape for families, luxury travelers and couples looking to tie the knot. 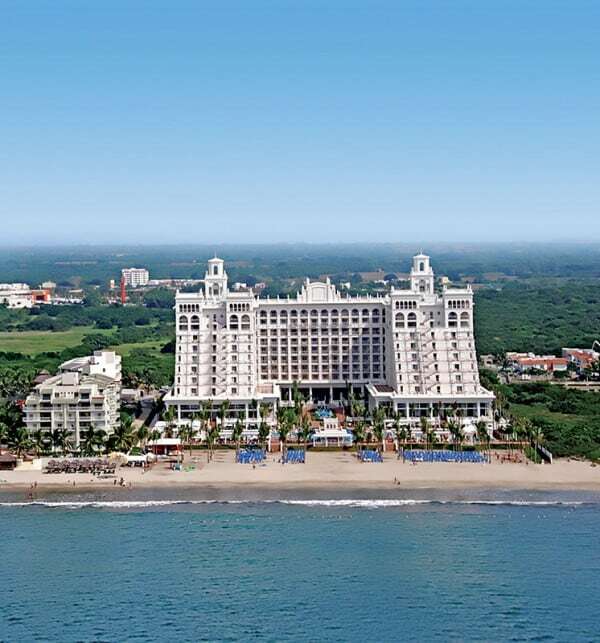 The resort is located on Riviera Nayarit’s popular Flamingos Beach. 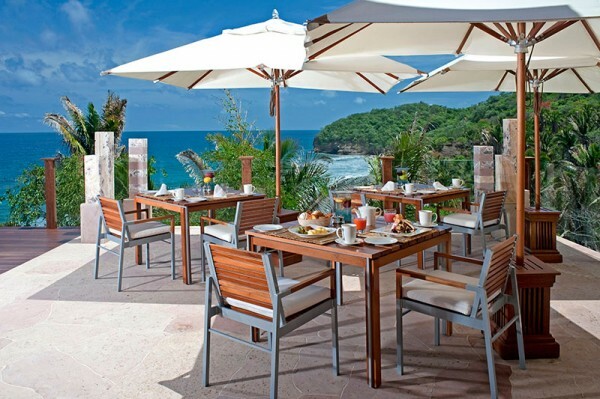 The resort offers 24-hour room service, romantic wedding packages, a wide variety of upscale restaurants and bars, inspired spa services, spacious suites, an 18-hole golf course nearby, entertainment throughout the day and family-friendly amenities including a mini club and playground. Just take a look at that enormous pool. It’s just over a 1/3 of an acre, that’s huge! And what a view! I could stay here all day. Oh and did I mention the spa? This is the most perfect place for rest and relaxation. 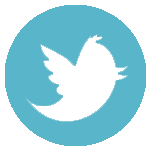 Don’t forget to use the exclusive SocialMoms promo code ULTRAPVR3 to save up to $300! CLICK HERE to learn more about Funjet Vacations including special travel deals. 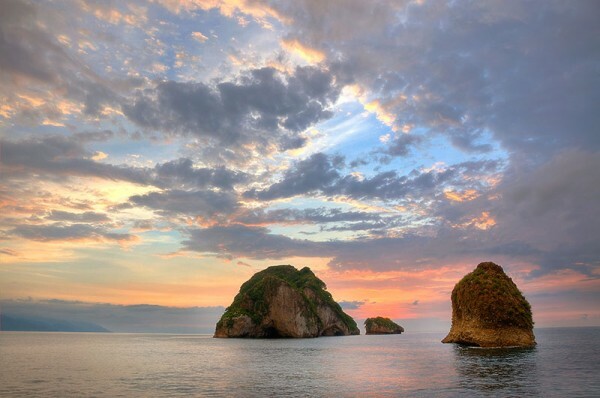 Want to Win a trip to Vallarta-Nayarit? Of course you do! 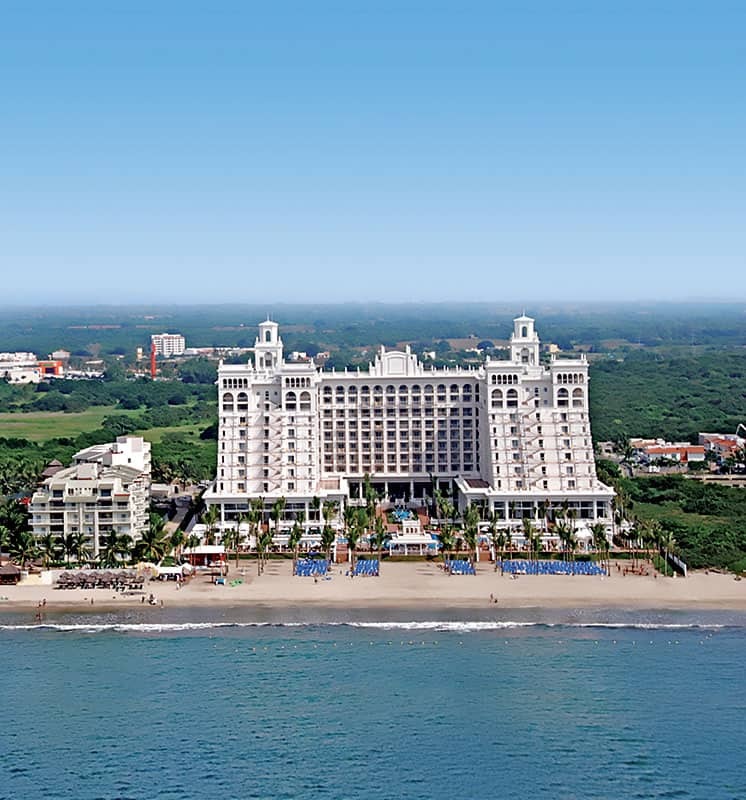 Win a Funjet Vacations family getaway for four to Vallarta-Nayarit with all-inclusive accommodations at the Riu Palace Pacifico. Courtesy of Funjet Vacations. 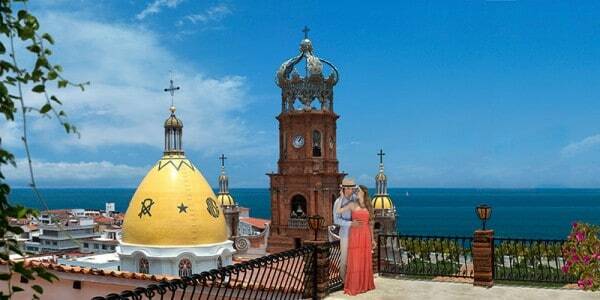 Transfers: Round trip transportation between Puerto Vallarta airport and RIU Palace Pacifico. Do Something You’ll Never Forget. Enter here! Other Details: Winners will be responsible for applicable taxes and fees. Winners must be at least 21 years of age. Blackout dates will apply. All travel is based on availability. Winners will need to valid Passport for travel to international destinations. If Passport is not in hand by time of travel, there will be no refunds nor extensions. Winners are responsible for any charges incurred for winner name changes or trip cancellations. Trips are nontransferable and not redeemable for cash. 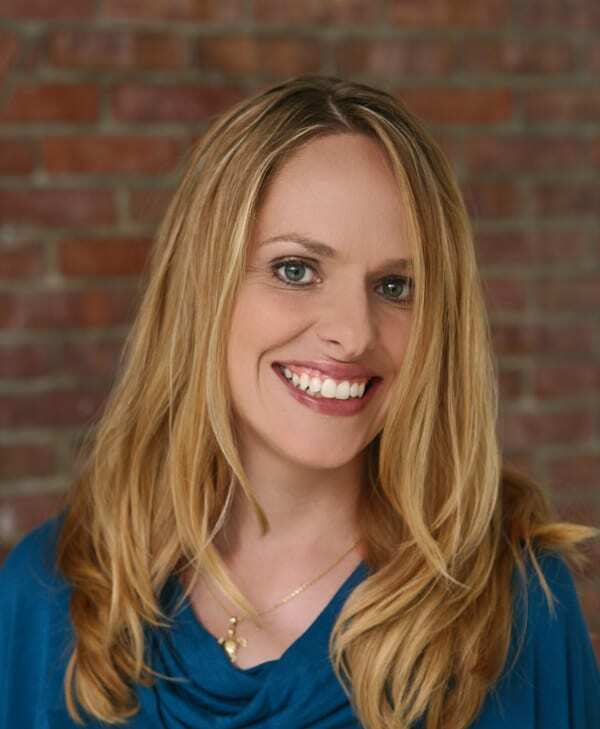 Social Moms is responsible for issuing 1099 tax forms to winners based on trip value. 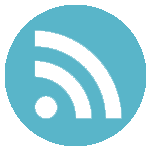 Should either the hotel or destination be dropped from the FJV product line prior to booking, FJV shall have the right to substitute a comparable hotel or destination. 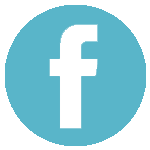 Be sure to also connect with Funjet Vacations Facebook and on Twitter. 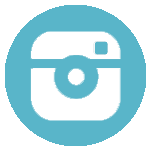 For more information about Funjet Vacations, visit their official site here. 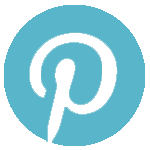 This blog post is part of a paid SocialMoms and Funjet Vacations blogging program. The opinions and ideas expressed here are my own. Absolutely beautiful. I’m dreaming of sunny and 75!